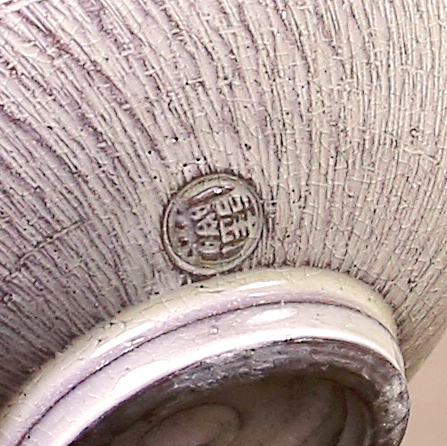 This lovely matcha bowl features an intricate array of variously- sized flower impressions that have been carefully pressed by hand onto the body of the clay one impression at a time using tiny wooden or ceramic stamps. 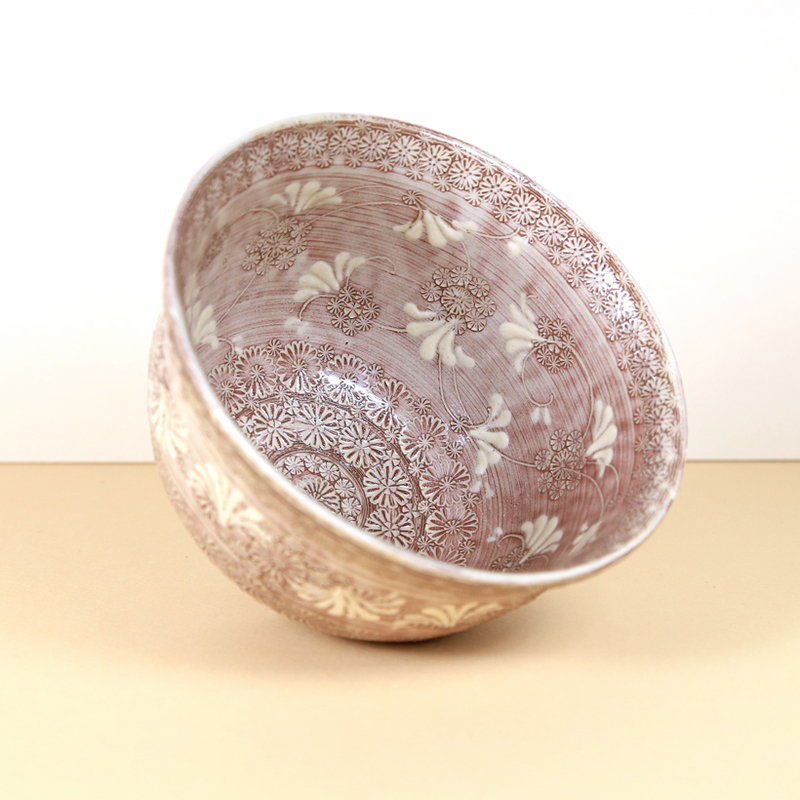 For this bowl, the artist Toraku Morisato challenges our eye by encircling the bowl with rows of just-touching flowers of varying sizes in several places. 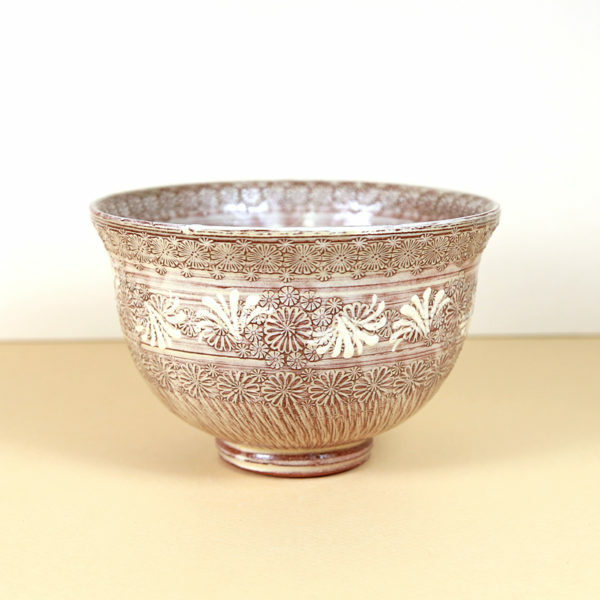 The addition of hand-painted feathery white flowers on the outside and inside of the bowl adds an appealing visual element to the design. A series of curved thin lines carved from the midpoint of the bowl to just above the foot ring adds another dimension of style. 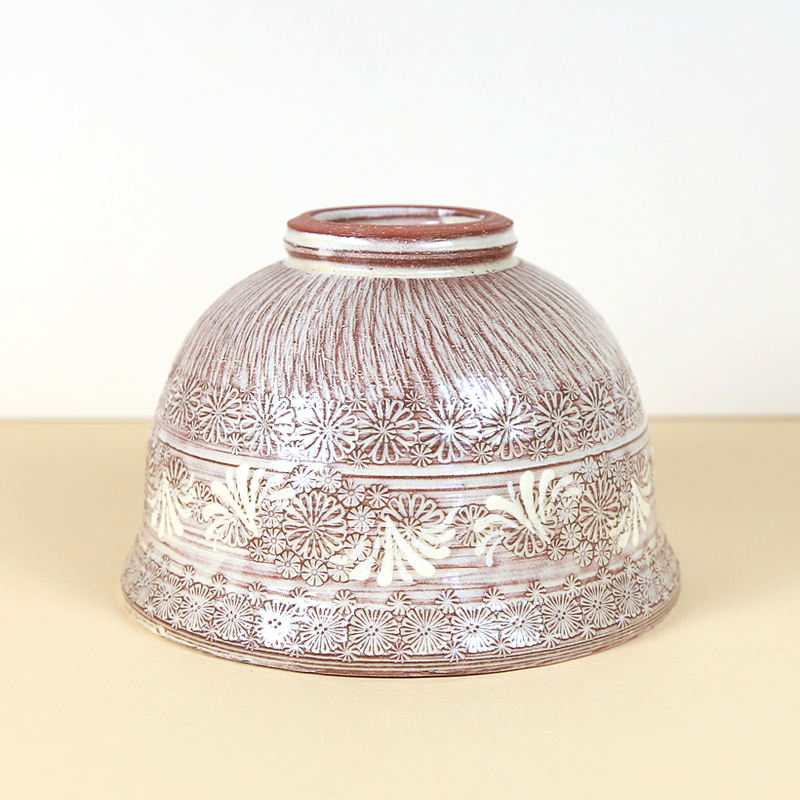 The entire bowl is covered with a clear glaze to add shine and polish.